AT&T comes with the phones at cheap prices always, along with their 1-year or 2-year contracts, but the best thing in it is the price at which the phone comes with. They come usually for $99 or $199, but with the Black Friday today, Amazon and AT&T are coming up with a few devices that would go for free, or just a penny i.e. $0.01 when the device is bought with the AT&T postpaid plans. 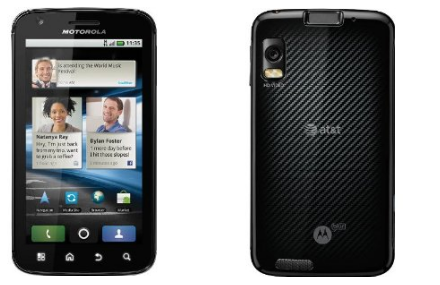 Motorola Atrix 4G – Ultra-fast, 4G-enabled smartphone running Android 2.2; capable of running full Firefox desktop browser with optional accessories. This is one of the most powerful Android mobile phones. It comes with the Android Froyo operating system, the 4-inch qHD touchscreen and a 5-megapixel camera having a capability to record videos in 72-p HD quality. The NVIDIA Tegra-2 processor would keep the phone at its best speed, and the multitasking too is easy with the Motorola Atrix 4G. The original price of the phone is $699, but for Black Friday on Amazon, it is for just $0.01 with the postpaid contract. 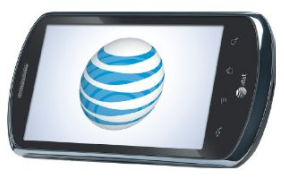 AT&T Impulse 4G Android Phone – Affordable 4G-enabled smartphone with 3.8-inch touchscreen, powered by Android 2.2 OS with easy access to Google services, that comes with the Android 2.2 Froyo operating system and the 5-megapixel camera having the 720p HD video recording capability. This is another 4G LTE enabled handset, which can take advantage of the 4G network provided by AT&T and get the highest speed of wireless connectivity. The original price of this phone is $599 but with the Black Friday Amazon deal, it is for $0.01 with the AT&T postpaid plan. It comes with the FREE Two-Day Shipping. 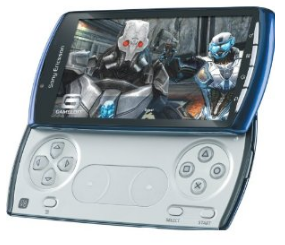 Sony Ericsson Xperia PLAY 4G Android Phone – 4G-enabled, Android 2.3-powered PlayStation gaming smartphone with slide-out game controls, and 4-inch multi-touch screen. This is a perfect device for gaming, and along with that for browsing the web and keeping connected. The 5-megapixel camera captures excellent pictures and HD videos, and the SE Play is a 4G LTE enabled device. The phone even has a front camera for the video conferencing. 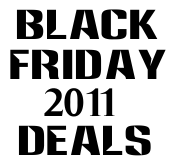 The original price of the phone is $499 but on Black Friday, it is $0.01 on Amazon. Check out the other deals on Amazon, one of the other good ones is the Fujifilm F505 Digital Camera. I am an AT&T user ever since and they offer the best phones in town! I just bought Sony Ericsson Xperia PLAY 4G Android Phone and it is one of the best gaming console/smartphone so far. Kudos to AT&T!